Kerala is home to a diverse population with a large number of Hindus, Muslims, and Christians. Because of this, several colorful festivals are celebrated with much fervor here. Legends, music, color, cuisine, dance, and centuries-old traditions are on display during the festivities, which light up some or the other part of the state throughout the year. Out of all the festivals of Kerala, the Thirunelli Festival of Wayanad is a very prominent one. It should be definitely experienced on your family holidays in the state as it showcases color and culture in abundance. It also offers a super way of engaging your kids in Hindu celebrations and teaching them ancient mythological stories of the land. In Medam (April), which is a Malayalam month, annual festival of Sree Thirunelli Devaswom at Thirunelli is celebrated in Wayanad. It’s a festival that is celebrated with aplomb for two days on Vishu and its eve. 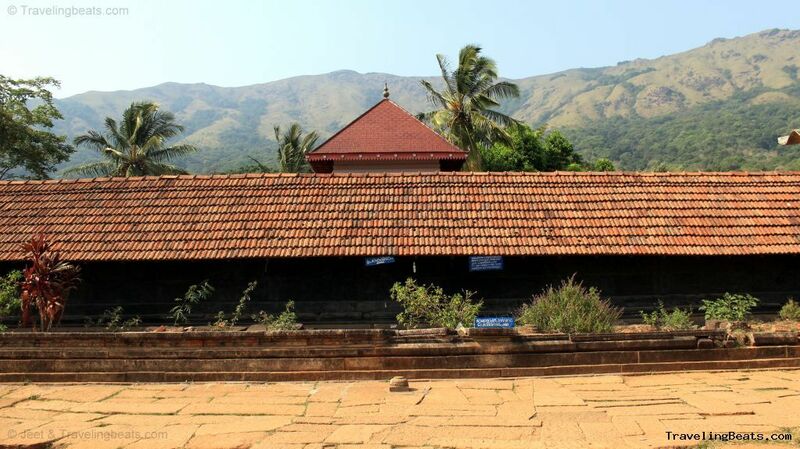 Itis celebrated atthe Thirunelli Temple in Wayanad, which is said to be the only temple in the world where devotees can perform all the rituals pertaining to life, death, and life after death. There is a sacred mountain spring here called Papanasini, which is said to wash away the sins of the people who visit, making it a must for pious devotees to take a dip in its holy waters. There is also a sacred rock nearby where visitors make ritual offerings during the Malayalam months of “karkkidakam”(July/August), “kumbham”(February/March), and “thulam”(October/November). The temple and festival are generally seen as a place where visitors can pray for their ancestors as well as wash away their sins. It’s always good to add a tinge of spirituality to family vacations. Firstly, it provides a break from all the adventure and activity, helps you recharge your cells, and lets you return to sightseeing with more gusto. Additionally, it helpsyou teach your children about the various temples, legends, myths, and rituals of India. It is always a good idea to introduce your kids to spirituality when they are younger. Along with Thirunelli Festival, you may explore the best of Kerala’s culture and tradition when you check into Vythiri Village, Waynad a Club Mahindra affiliate resort. The resort boasts modern amenities and comforts to ensure that you and your family are well taken care of. The resort also offers you delicious local Kerala cuisine of the region to tuck into. Along with this, the Wayanad resort provides indoor and outdoor activities to enjoy as a family. Read more positive Club Mahindra reviews by our happy members about how they enjoyed their holidays with family. So book your culture trip in Wayanad and enjoy all the festivals of Kerala to the fullest with Club Mahindra.Log onto the website or app today! This entry was posted in Wayanad and tagged festivals in wayanad, temples in wayanad, thirunelli festival wayanad, thirunelli temple wayanad, wayanad travel kerala. Bookmark the permalink.